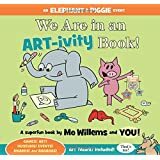 Mo Willems, a #1 New York Times bestselling author and illustrator, celebrates ten years of Elephant & Piggie in this special bind-up collection: Today I Will Fly! ; Watch Me Throw the Ball! ; Can I Play Too? ; the award-winning Let's Go For a Drive! ; and I Really Like Slop! As most any parent today knows, Mo Willems books are awesome. Great for beginning readers to practice their new found skills and great stories that parents won't tire of reading​ or hearing over and over again. While this is a great value and great stories, the books overall thickness may be hard for small hands to manage. I LOVE elephant and piggie books and have bought nearly all for my nieces. I got the bundle for a friend but it's not the same as the individual ones, it's a big book that feels like you are reading a novel, not an easy to carry around kids book. Will get wrecked easily I think, a box set would have been better. LOVE the stories don't like the format. 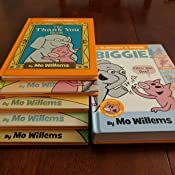 5.0 out of 5 starsMy Twins Love Mo Willems' Stories! My five-year-old twins started school this past fall and we've been introduced to a number of new books that we hadn't heard before. 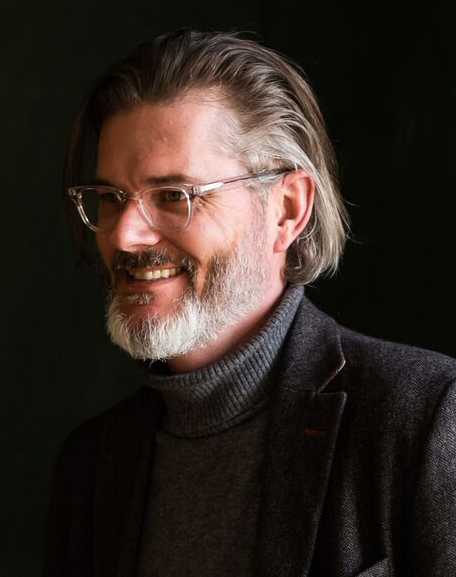 I hadn't heard of Mo Willems before they went to school (Why? I don't know.) but now we have built quite a collection of his books. I saw this book in a bookstore about a month ago and figured it would be a great addition to our collection since we didn't have any of the books. I ended up ordering it from here since it was a much better price. An Elephant & Piggie Biggie! 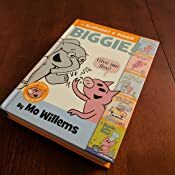 is a compilation of five stories written by wonderful and hilarious children's author, Mo Willems. The stories are funny, include lovable characters, and teach valuable lessons in a gentle way that kids really enjoy. The stories included in this book are : Today I Will Fly!, Watch Me Throw the Ball, Can I Play Too?, Let's Go for a Drive!, and I Really Like Slop! This is a hardcover book with the paperback pages and it's the same as the individual stories, just five times as big! There are 309 total pages and each story is roughly 57 pages. There are a lot of pages but each page generally has one or two sentences. My kids were so excited when this arrived in the mail! 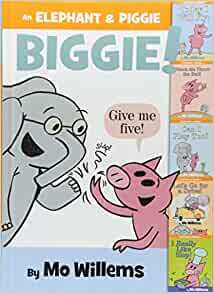 Elephant & Piggie are always popular in our house and my kids will stop what they are doing when I pull out these stories. I love the funny stories and drawings and I look forward to reading them to my kids. These are popular in classrooms because of the gentle lessons they teach and they hold active kids' attention! We are building our collection of these books and this book took care of several of them. It's a thicker book so it's harder to hold but I feel the value is worth it. This book would make a wonderful gift for boys and girls in the preschool to elementary age range primarily but I'm sure other kids would enjoy them as well. I highly recommend stories by Mo Willems and this book is a wonderful addition to our collection! What a fantastic deal! 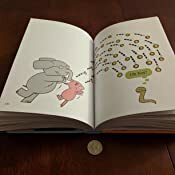 My daughter loves the elephant and piggie stories and this is one thick, hard-backed book! I could not believe the price amazon was asking for it. She will get hours of enjoyment out of these stories. My kindergartener who hates reading on his own always loved the pigeon books by mo willems and right away he sat down with this to read story after story by himself. Love it. I need to get more collections in one book like this because my kid hates reading time and would rather read one short book over and over again until the alotted time is up, as much as I tell him to have other books ready for when he finishes one. It's very easy reading, not much words on each page. He found it very funny and finished all the stories pretty quickly. It might not be very challenging for him but the more they read, the better their fluency. 5.0 out of 5 starsCan't be happier! This is simply wonderful! 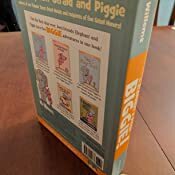 It's great to be able to get five of Gerald and Piggie books for a low price. To boot, image and physical page qualities are excellent. In fact, the image quality seems to have improved over the original books. I really hope Willems and publishers will do the same thing for the rest of the collection. We can't see us buying the whole collection individual books, but in this format we'll buy them all! 5.0 out of 5 starsAmazing book! My twins LOVE it! I accidentally saw this book at B&N and was contemplating whether to buy it or not. I wasn't sure how my 4.5 y.o. twins will react to it. I finally decided to get it from Amazon. No regrets. Both my girls are part of special education pre-K program, but progressing really nicely. I was so pleasantly surprised when they just opened this book and started reading it, and did that with intonation, really going into characters! I guess we will be starting a collection! This specific book is a great value, at $12 for 5 stories. It's a large book but my girls had no issues holding/reading it. Very good quality of paper/pages/pictures.